Held on the last Sunday in March every year, it’s the perfect day to turn strangers into neighbours and streets into neighbourhoods. Here in Mudgee, while we are still a community of friendly hellos in the streets, it’s not hard to get swept up in our busy lives and, sometimes, making a bit of an effort to knock on the neighbour’s door might seem like too much of an intrusion. But all it takes is an initial hello. That can lead to conversations over the fence, gifted vegetables from the veggie patch, borrowed jumper leads, even homemade cupcakes! 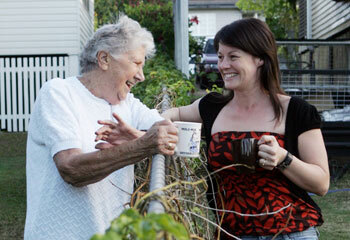 Knowing your neighbours is about more than having someone to call on for a cup of sugar. The more cups of tea and chats people have over the fence, the less social isolation there is, and interaction could even mean things like family violence less likely to go unnoticed. Talk to frail or unwell neighbours about whether they would like someone to check on them regularly, especially during extreme heat periods or during storms or wild weather conditions. Organising a street barbecue or bring-a-plate gathering in your local park so that neighbours can meet each other. Neighbour Day is about all of us taking the time to engage in small and local acts of neighbourliness to make our neighbourhood a safe, fun and friendly place to live. Neighbour Day is about encouraging neighbourly activity 365 days of the year. We can all choose to be a great neighbour. It’s simple, it’s worth it and we’ll all be better off for it. In fact, why wait for Neighbour Day? Why not leave your own message to say hello?